CEJA and CEJA Action are proud to release our 6th Environmental Justice Scorecard for the 2018 Legislative Session. This scorecard is the only one in the state that assesses how well California’s elected officials have supported actions to address environmental issues that impact low-income communities and communities of color. The 2018 Environmental Justice Scorecard reveals that we have a solid cohort of elected officials that support EJ issues, but the number of EJ Champions is small. The voting record of most legislators leaves room for improvement on priority EJ issues. While the EJ movement has made substantial wins over the past several years and ensured that voices from our communities are included in policy debates, it is clear that elected officials need a deeper EJ commitment to take on harder issues, such as drinking water contamination, oil and gas extraction, and toxic waste management and control. With environmental and climate crises worsening, the need for EJ Champions is greater than ever. To make progress on the issues that can tackle root causes, we need more decision-makers to stand with our communities. 2019 will mark the start of new terms for executive officers from the Governor down and bring in many new representatives for a fresh legislative session. We hope to see more legislators who stand with us in pushing forward the transformative policy changes that our communities and the planet truly need. 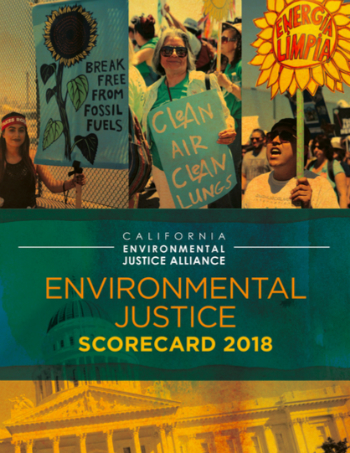 Download the full 2018 Environmental Justice Scorecard here! Given the increased awareness and understanding of EJ issues in the Capitol, it is now time for legislators representing communities of color to show stronger leadership on our issues. The need for EJ champions has been higher than ever: the environmental health and climate crises has worsened, but our movement has grown. We need leaders who grow with us. The 2018 legislative session closed with several major EJ issues unresolved, each of which perpetuate ongoing negative impacts in low-income communities and communities of color. We congratulate Assemblymember Monique Limón for her second year in a row as an Environmental Justice Champion, scoring 100%. Also joining her as an EJ Champion is Assemblymember Kevin Mullin. We also want to acknowledge Assemblymember Gomez-Reyes for authoring Assembly Bill 2447, the Disadvantaged Communities Protection Act, and Senator Wieckowski for authoring Senate Bill 64, a bill to improve air quality in EJ communities. These two bills were co-sponsored by CEJA. We thank them for their efforts in pushing important EJ legislation. Download the full 2018 Environmental Justice Scorecard here for our full analysis of the Black, Latino, and API Caucuses! 16 Assemblymembers and 5 Senators scored above 90%: Assemblymembers Berman, Bloom, Bonta, Chiu, Chu, Friedman, Gabriel, C. Garcia, Kalra, Levine, Limón, Mullin, Muratsuchi, Stone, Ting and Speaker Rendon; and Senators Allen, Hill, Hueso, Lara, and Leyva. We thank these legislators for their ongoing support for environmental justice issues in the 2018 legislative session. The 21 legislators scoring above 90% is in contrast to last year, when only 1 Senator and 6 Assemblymembers received high scores. However, it is still an overall decline from previous years, when we saw as many as 38 Assemblymembers and 22 Senators scoring in the 90 to 100% range. The majority of legislators scored in the 80s: 15 Assemblymembers and 17 Senators in total. This year’s scores reflect the strong need to continue building strong EJ leadership among our decision-makers. 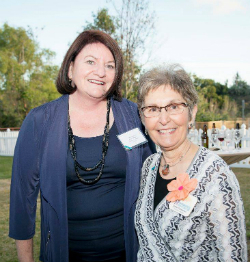 CEJA applauds Senate President pro Tempore Atkins for re-appointing Diane Takvorian to the California Air Resource Board (CARB) to ensure that CARB has board members who directly work with communities most significantly burdened by, and vulnerable to, high levels of pollution. Senate pro Tem Atkins’ appointment of Ms. Takvorian continues her trailblazing commitment and leadership in advancing environmental justices issues to protect disproportionately impacted communities. 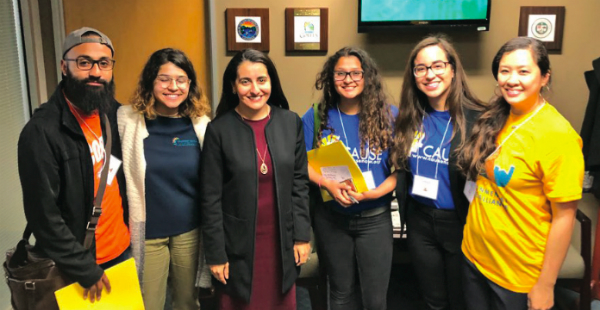 CEJA looks forward to working collaboratively with Senate pro Tem Atkins on climate justice and air quality in 2019. With a federal-level attack on low-income communities and communities of color, California’s resistance is a bright spot in national politics. The 2018 legislative session showed that our elected officials – now more than ever – need to rise to the challenge. We need leaders who will stand with our communities, despite industry pressure. CEJA and CEJA Action will continue educating elected officials about environmental justice issues and building the political will to enact the bold policies our communities need, and hold our leaders accountable when they do not.